As your toddler grows, he is more likely to touch and explore everything. As a result, your child is probably more likely to catch a cold. Toddlers are also more likely to become sick during the fall and winter or if you have school-aged children at home. The stuffy nose that comes along with a cold can be uncomfortable during the day and even worse at night. Getting a toddler with a stuffy nose to sleep can present a challenge. Fortunately, there are actions you can take to help your toddler sleep through the night. Call your child's pediatrician. The American Academy of Pediatrics advises against over-the-counter cold medications. Get doctor's approval prior to using any cold medications to help with your toddler's stuffy nose. Place a couple of towels underneath the head of your toddler's mattress as she sleeps. This slightly elevates the head, which can help to relieve a stuffy nose. 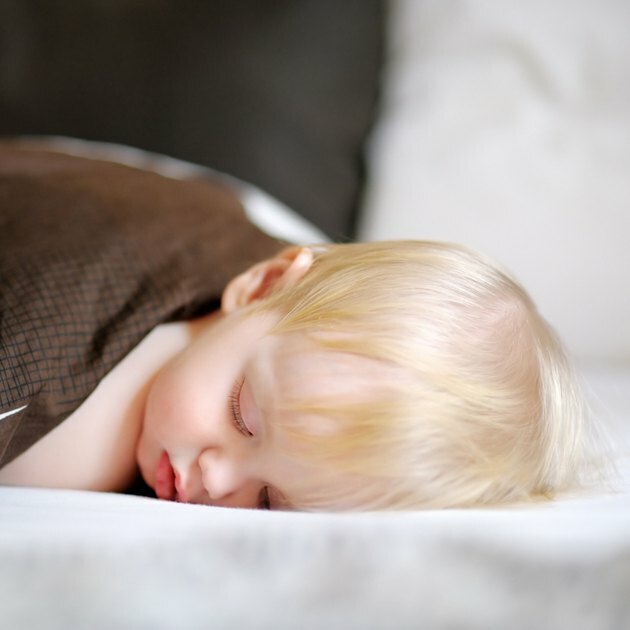 Use a humidifier to help moisten the air in your toddler's room as he sleeps. If you do not have a humidifier, take your toddler into the bathroom with you. Turn hot water on in the sink or shower to create steam in the room. Sit together in the room for 15 minutes. You can also give your toddler a warm bath. Use a saline nasal solution to help moisturize your child's sinuses and loosen mucus. You can suction out nasal secretions with a bulb syringe designed for toddlers and young children. Use a vapor rub on your toddler's chest and under her nose. Vapor rub can help to clear up a stuffy nose. Apply a thin layer and rub it in -- taking care to keep it away from his hands or anywhere he might be able to ingest it or rub it into his eyes. Never use pillows to elevate the head of your toddler. Pillows can lead to suffocating. Place the towels or blankets underneath the mattress, not directly beneath your toddler's head.